Shots is pleased to announce the opening of our second exhibition: “Passions” by Singaporean artist Andy Yang. Showcasing a series of 8 new paintings, created as a result of his reaction to musical soundscapes. 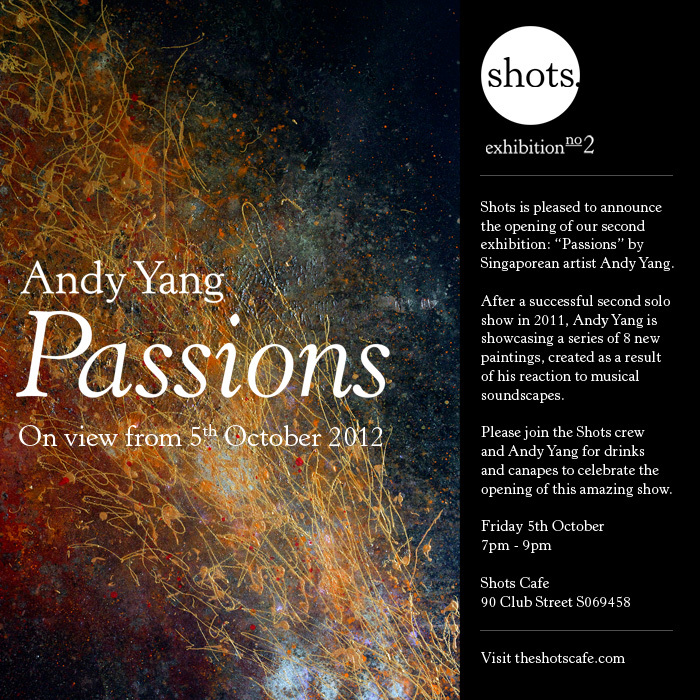 Please join the Shots crew and Andy Yang for drinks and canapes to celebrate the opening of the show. SPECIAL THANKS TO HENRY GOMEZ, KEN TAN, KHAI, LESTER & JENNIFER BANSE for making this exhibition possible.